Jordan and Jesse are going on the road this summer for their first ever national tour! 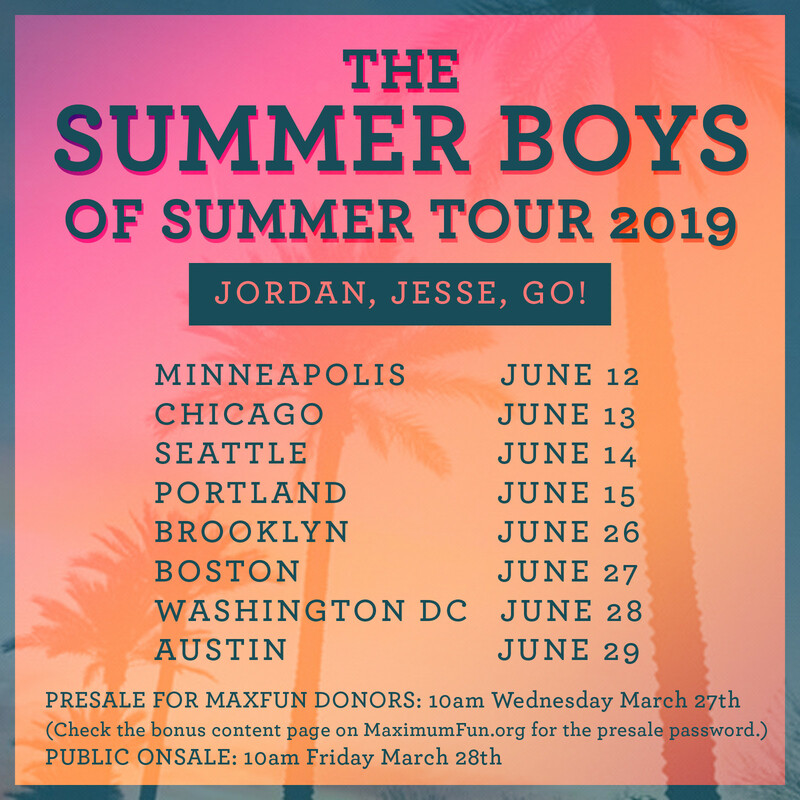 Come see them on The Summer Boys of Summer Tour in a city near you! PreSale starts Wednesday, March 26th at 10am for Maximum Fun Donors! Check the Bonus Content page for the password! Public onsale starts Friday, March 28th at 10am!